Remove 1 tablespoon yogurt from yogurt container. Stir in 1 tablespoon of the chopped walnuts. 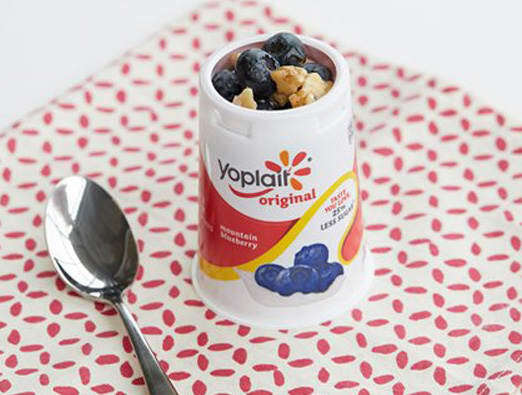 Top with remaining chopped walnuts and blueberries. Drizzle with maple syrup.